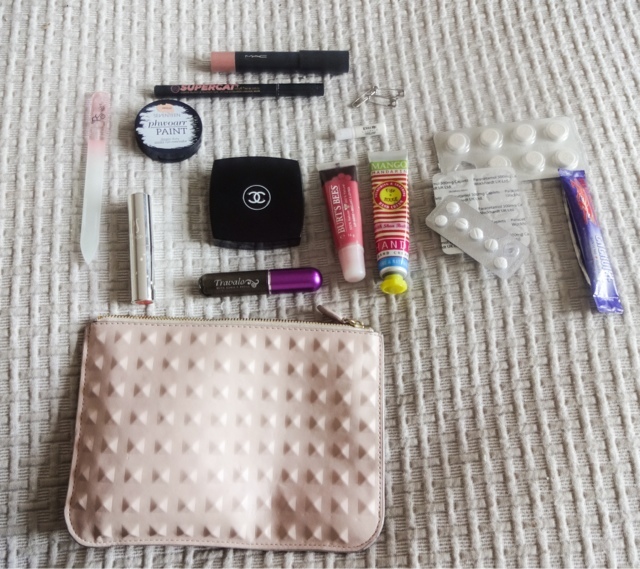 So as you may have seen, my lovely husband Sebastian treated me to the very gorgeous Rebecca Minkoff ‘Mini Mac’ bag for my birthday a couple of weeks ago, and in celebration of that, I’ve been inspired to do an updated ‘What’s In My Bag?’ post. I’ve been obsessed with reading these posts for years, they never get old for me – I guess I’m just hopelessly nosy like that! I wanted this bag for quite a while, and it didn’t disappoint. The ‘Mini Mac’ is definitely a smaller bag, but with careful planning you can fit enough in to make it work for daytime. I’m quite streamlined with what I carry around these days and I don’t like carrying around lots of stuff I won’t use, but I still need to make sure I can fit all my essentials in comfortably without overloading. 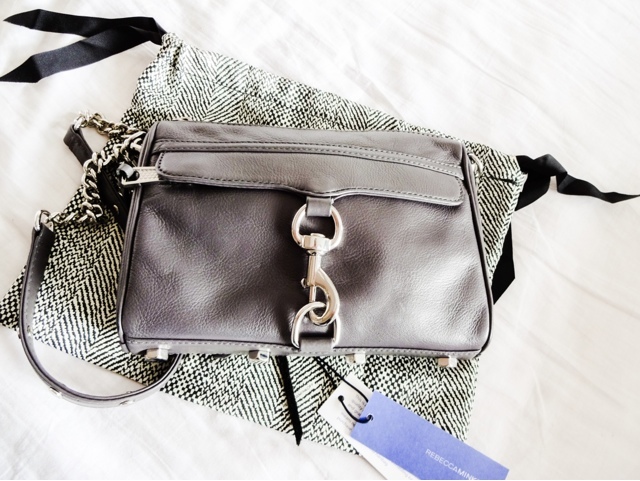 The bags I like tend to be versatile above all else – I like a smallish size that could work for day or night, and a variety of ways to carry, because I don’t switch my bags around often. So the Mini Mac (or ‘Morning After Clutch’, to give it it’s full title), can be used as a clutch bag, a crossbody or a shoulder bag, and that’s right up my alley. Its sleek enough to work with evening wear of a more casual kind, but the chunky hardware makes it look practical enough for the day. And although its not bulky, its deceptively spacious inside as well. The Mini Mac definitely doesn’t allow room for sunglasses AND an umbrella, so its very much one or the other. That might not sound like much of a problem but when you need to factor in the insane British weather, which can literally cover all four seasons in a day, it can be problematic! But unless I know rain is forecast, I always have some sunglasses with me, even during the winter, as you get those very bright days that can be dangerous if you’re driving. I haven't pictured those here, but they just about squeeze in when needed. Money-wise, I’m a creature of odd habits. 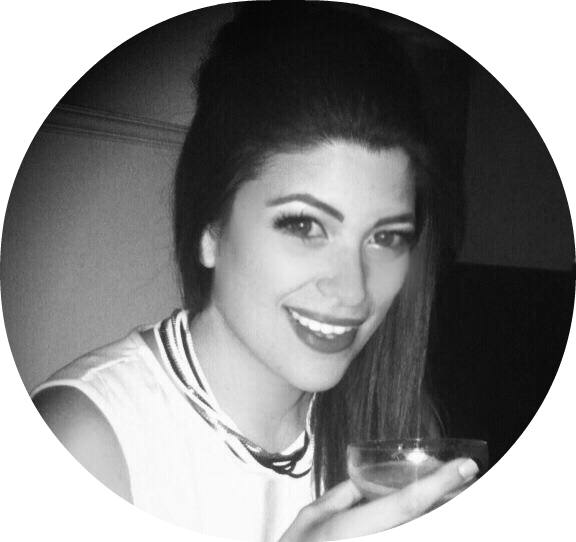 I don’t really like dealing in cash – its too imprecise and I hate carting round lots of change – so I very rarely carry much, unless I’m on a night out. I pay for most everything using a card. 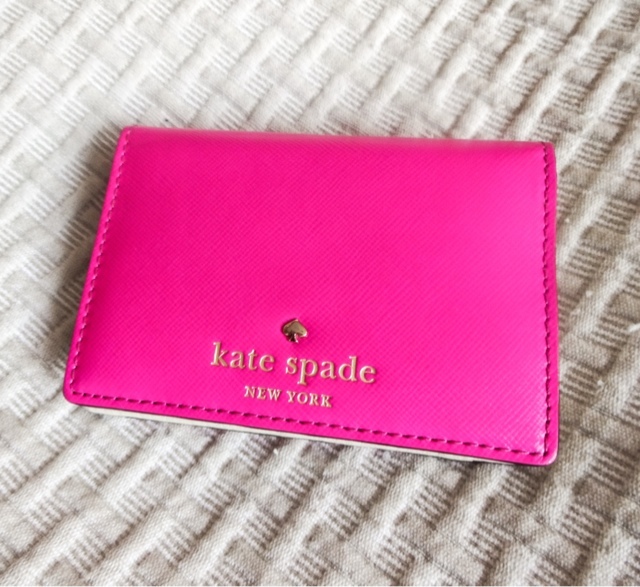 So instead of a large purse, I just carry cards in this pink ‘Meaghan’cardholder wallet from Kate Spade. It’s really slimline and just the right size for cash cards and my most used loyalty schemes. On the rare occasions I do get change, it lives in this little key and coin purse from Marc by Marc Jacobs. 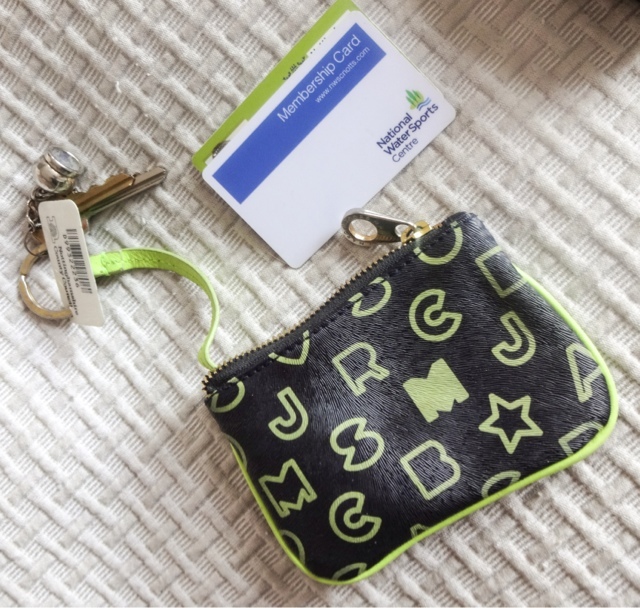 It has a loop to keep my house keys safely stowed, and I also keep my door pass cards for the office and the gym in here. I find this really useful and often if I’m just out running a super-quick errand or going to the gym, I just take this with me rather than a handbag. Of course, my iPhone 5s is about the most important thing in my bag. I’m one of these sad people that can’t be without my smartphone for two minutes. But like most people, its my window onto the world as well as my camera and music player. My most used apps are 24Me, a smart calendar and to do list, CloudMagic for organising my email and PS Express that I use for editing pictures. I’m quite happy with it, so I have no plans to upgrade to the 6 yet. 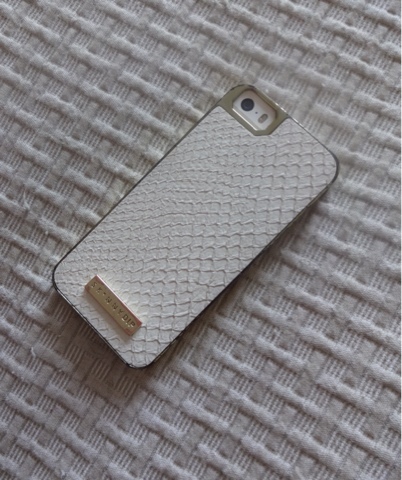 My case is the ‘Jayne’ design from SkinnyDip. Their cases are so original and really help you to dress up your phone. Another thing that’s pretty much essential on the go is a reusable shopper. 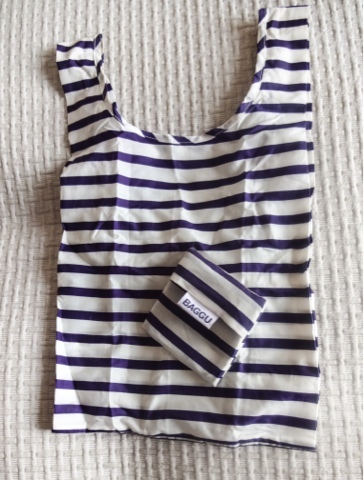 Especially when you take a smaller bag, you often find there’s an overflow – work you need to take home from the office, unexpected shopping (always a hazard for me), so I carry the Baby Baggu sailor stripe re-usable tote to hold anything else I find myself needing to carry. 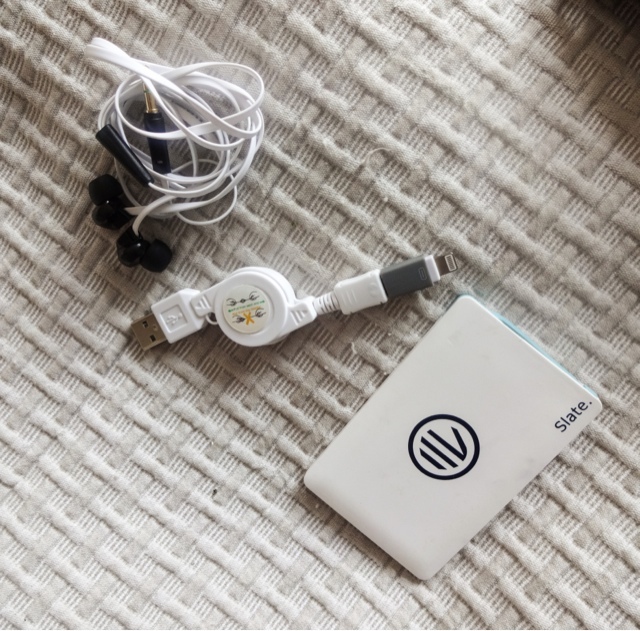 I mentioned that I’m wedded to my phone, so another thing I always have on me are a retractable charger lead, this slimline portable power bank from Slate (its only the size of a credit card but it gives 5 hours of extra charge) and my non-tangle headphones from Veho. Sometimes you just need to be able to put your music on and zone out. 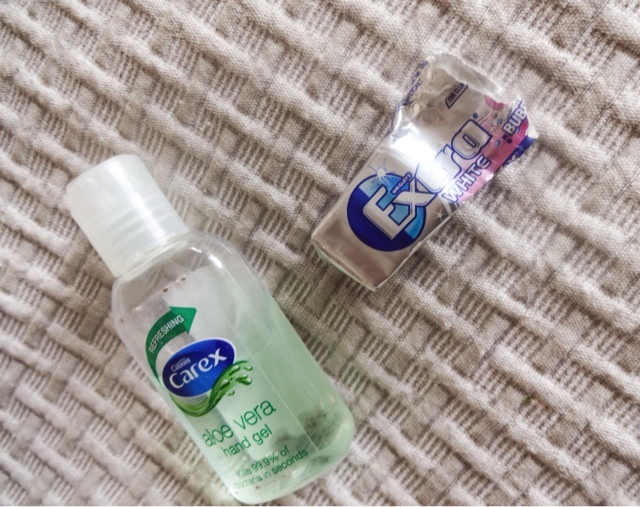 I also carry some chewing gum from Extra to keep my teeth clean after meals and some Carex Aloe Vera hand sanitizer, as I hate being ill – especially at the moment, as when you’re pregnant you can’t take any medicines for coughs and colds. The last thing I’m carrying is this blush studded make-up pouch from H&M, and in it there is an assortment of emergency stuff and make-up. I’m definitely getting older because I always carry paracetamol, hayfever tablets and a plaster (even though this is a very ‘grown-up Hello Kitty one!). Also Gaviscon tablets are a recent addition - the pregnancy acid reflux struggle is very real! 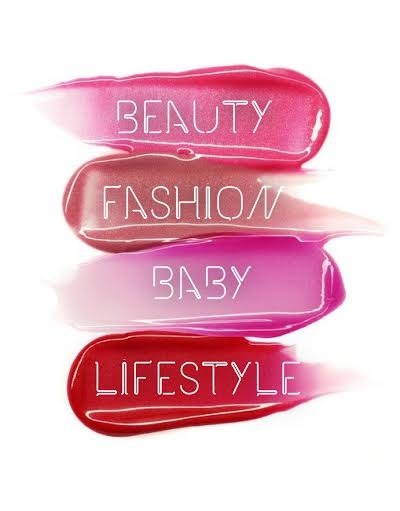 Perhaps surprisingly for a beauty addict, I don’t carry a lot of makeup. With using primer and sometimes a setting spray, not a lot needs touching up! All I carry on a usual day is a little tube of lash glue (just in case I have lashes on), my Chanel pressed powder, some Burt's Bees lip balm, some Seventeen Phwoar Paint concealer, Supercat liqiud liner pen, a glass nail file and whichever lipstick I’m wearing that day – today it’s a Mac PatentPolish lip crayon in ‘Innocent’. I also happened to have Topshop Lips in 'Swirl' in the bag today. Then there's my Travalo atomiser loaded with my favourite fragrance so I can freshen up and a little tube of Mango & Mandarin hand cream from Figs and Rouge, which smells delicious and keeps my hands soft. 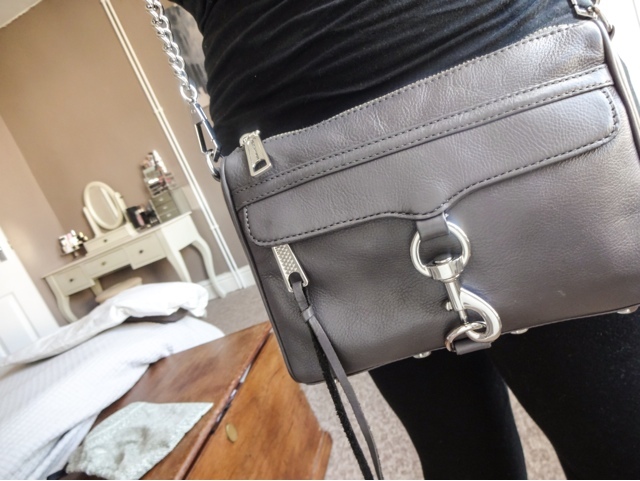 The Rebecca Minkoff Mini Mac looks absolutely great on and I've been using it as my main bag for weeks. When I go to work I do have to also carry a tote bag containing my laptop, a change of shoes (I walk into the office wearing trainers) and my lunch box and water bottle, but that doesn't bother me too much - I'd rather keep my other stuff separate. 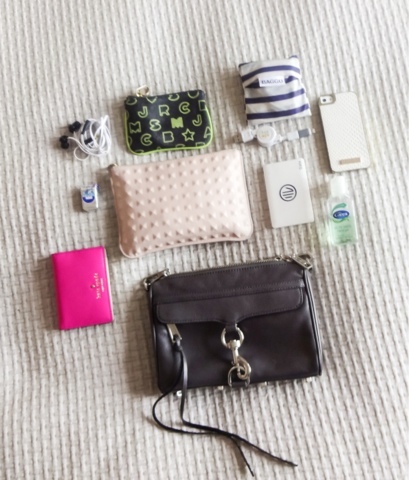 So, that’s what’s in my bag – what’s in yours? Please link me to any posts like this you’ve done!